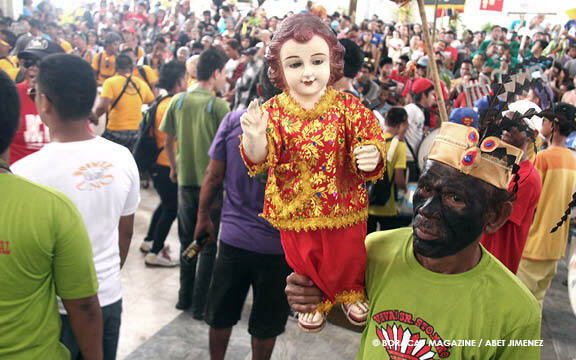 After a merry celebration of Christmas and New Year’s Day in the Philippines, the province of Aklan begins the year with a month-long traditional celebration popularly known as the Ati-Atihan, a festival centered on the pilgrimage for the Santo Niño (the infant Jesus). 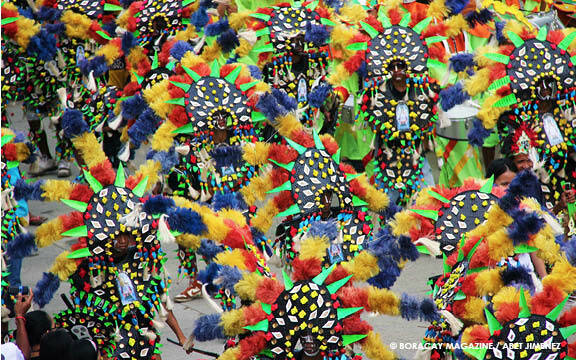 This century-old tradition involves participants dressed in outlandish getups dancing to the beat of a thousand drums. 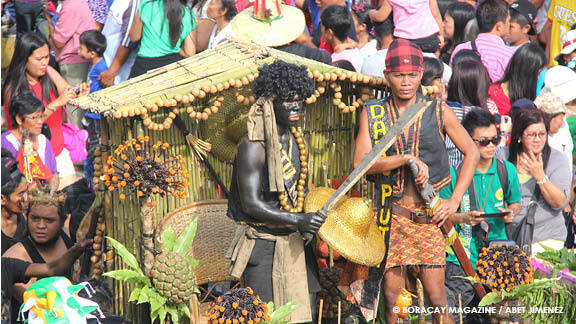 The Ati-Atihan on Boracay Island takes place on the second Sunday of January. 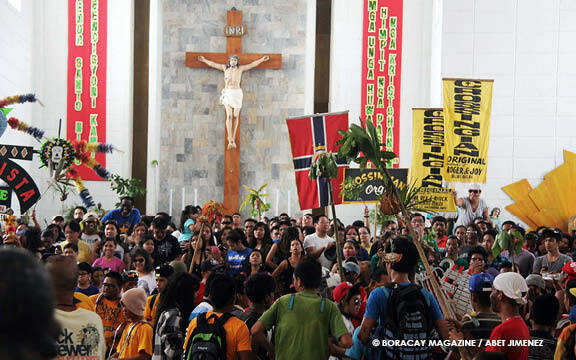 The second Sunday of January starts with a day-long celebration on the famed white beaches of Boracay Island, a part of the municipality of Malay, Aklan. 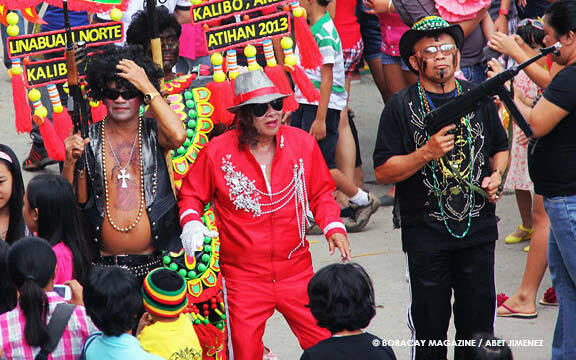 The third Sunday brings us to Kalibo for the world-famous Kalibo Ati-Atihan, considered by many as the Mother of all Ati-Atihan festivals. 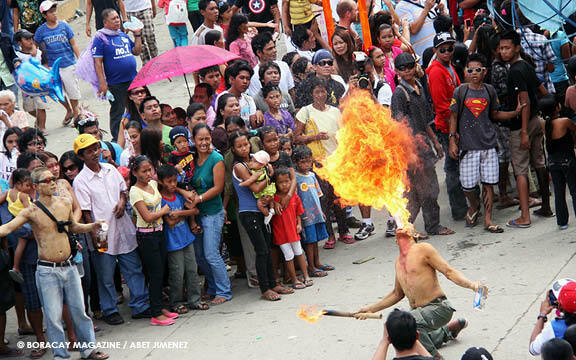 With street dancing amidst the sound of a thousand drums, nobody can’t be just a mere observer in the biggest street party in the country. 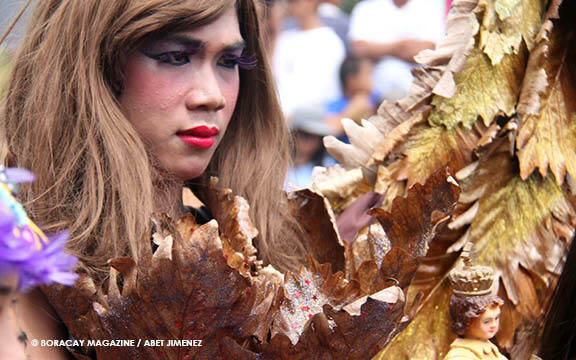 Although similar fiestas have been organized all around the country, some of them grander and more outlandish, they can never capture the spirit of this deeply rooted festival in Kalibo. 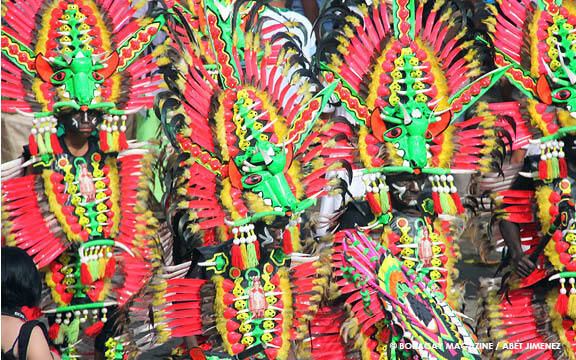 The Ati-Atihan is also celebrated in the neighboring town of Makato and other barrios. 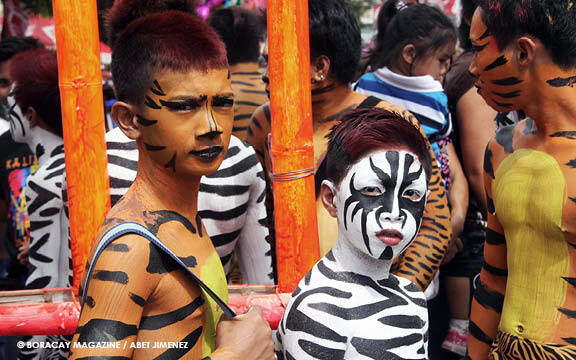 On the fourth Sunday, the town of Ibajay is the venue of yet another Ati-Atihan celebration, which is more religious in flavor and less in lavishness and commercialism. 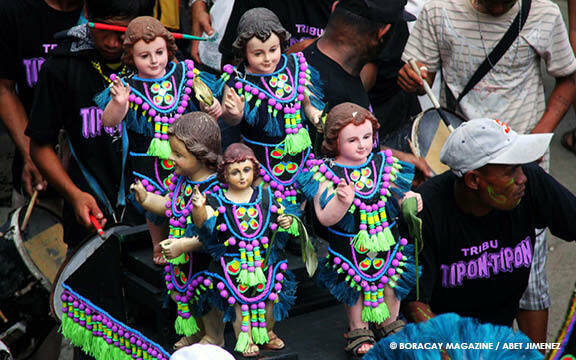 Set apart from other Ati-Atihan celebrations, this unique experience also includes street dancing but what’s highlighted is the dancing inside the church. The whole experience, short but joyous, is filled with solemnity and devotion among the participants. And the spirit lives on until next year’s celebration. Hala Bira! Viva kay Señor Sto Niño! 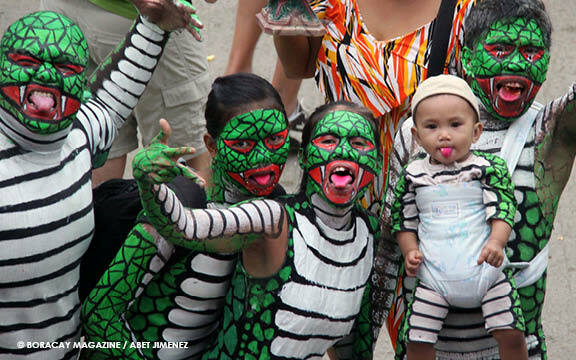 This entry was posted in Nearby Worlds and tagged body art, Boracay, culture, festival, Philippine festivals. Bookmark the permalink.